My new guilty pleasure, Pokemon Go, was supposed to be a fun past time. I’m in Vancouver this week attending CAST2016 and have had some time to walk around the city and hunt digital monsters. The game is fun, it is something I can easily do that doesn’t really have direction or purpose. Basically it is a nice way to distract myself from normal busy life. Pokemon Go was released a couple of weeks ago, and and has become an overwhelming success. For me though, it’s been tough. The game has a lot of bugs, and every day I’ve been learning aspects of the game that are hidden because I am lacking 10 years of Pokemon background. I was thinking about that nice distraction and some lessons about software development started jumping out. Especially around the idea of what lean and agile people call a Minimum Viable Product (MVP). Minimum and viable are much more challenging than we like to think, especially when small public releases aren’t possible. When I worked at healthcare companies, most of the time we thought of minimum in terms of getting value to the user. Our goal was to release smaller features, like a report or a filter on a page that displays too much data, to improve the feature bit by bit. We were making assumptions about what minimum and viable meant for our next product release, but they were somewhat based on the market and feedback from our customers. That is harder to do when minimum isn’t so minimal, like in the first product release. Where did my character go? The concept of a minimum viable product doesn’t account for overwhelming success. A piece of software that is OK for a few hundred users might be unreliable for thousands, and unusable for millions. Pokemon Go has fallen victim to its own success. Pokemon started getting popular where I lived around my senior year in high school, but I never played the game. At this point I’m missing several years of history about the little digital monsters. But more importantly, I am completely in the dark about the game mechanics. Figuring how how to get through the game has been an exercise in talking to other players and hunting through google. Even the most simple aspect of the game, using a Poke Stop needed a quick search. There is a generation gap between me and the market this game was made for. Kids playing this game have grown up using mobile apps and might have some point of reference for how this game works. I have needed pointers on what is obvious to these players. Viable for me and the younger players familiar with a wide variety of mobile apps and game history isn’t quite the same. The other aspect of the negative scaling effect on MVPs is the inevitable software bug. No development or testing strategy, DevOps setup, or monitoring tool can account for what will happen when a product goes from zero to several million active users over night. The game in surprisingly stable right now considering how popular it is, but everyday I find bugs that require me to restart the app to get going again. 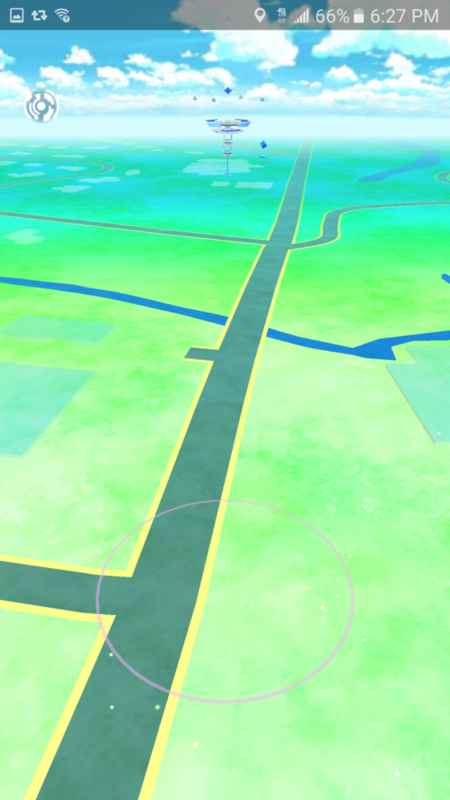 Sometimes Pokestops don’t load, sometimes my character doesn’t display on the screen, and sometimes the game will tell me there are no Pokemon in my area. Restarts fix all of those issues temporarily. Harping on the game isn’t the point of this, I am really enjoying it. But, it is a nice example of what a minimum viable product is and isn’t, and what happens when our assumptions go wrong. Hi Justin, many agile and lean people (including me) would contend that PokemonGO is not an MVP, it is a version one if you want, but certainly not an MVP.